Add 1 cup of hot water into couscous in a bowl, add olive oil, cover and set aside for 5-10 minutes. In the mean time, roughly chop and steam broccoli and peas. Fluff the couscous from the top using a fork, add paprika, lemon zest and juice and season with salt and pepper. 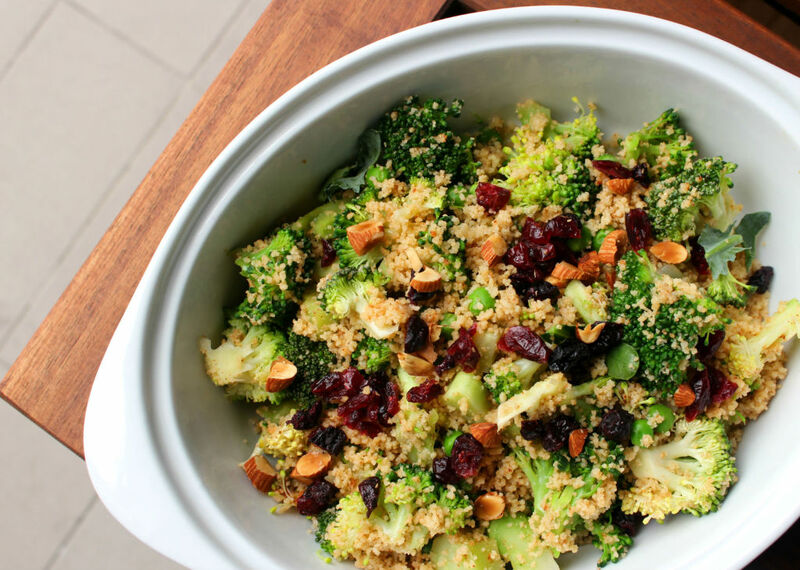 Add cooked broccoli, peas, roughly chopped cranberries and almonds into a bowl and toss to combine. Transfer to a serving bowl. Add another drizzle of olive oil to serve.